I just left home. Now I’m home again. In other words, I left the US last week and made it to Japan safely. 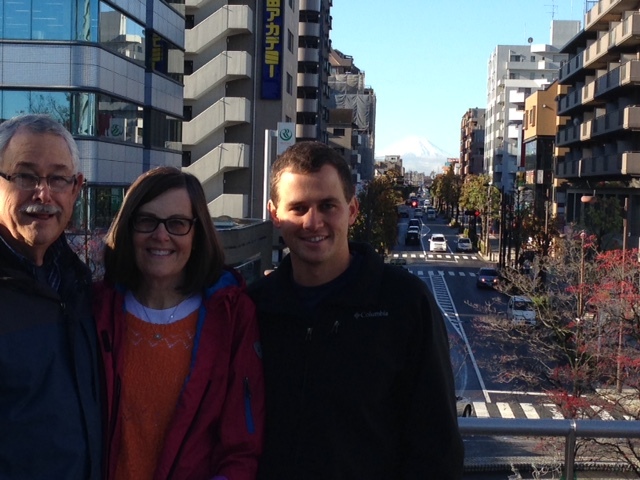 I stayed in Tokyo for a few days, eating Thanksgiving dinner at an American family’s house and continuing my 4-year streak of not being in America for such a North American Holiday. I reconnected with Japanese friends, whom I’ve known since kindergarten and elementary school. I went to church in Ueda where I grew up, and in true Japanese fashion they threw me a dinner party even though I insisted that they not make a big deal. Then I rode the train and returned to Shiga Kogen, where I will stay again this winter for about a month. It is strange to me how completely different my two worlds are, yet how completely I can belong to each simultaneously. Americans can’t imagine a white boy like me speaking fluent Japanese, and Japanese people ask me fairly frequently if I can speak English. I can see where they’re coming from. When someone seems so American or so Japanese, it’s hard to imagine that person as anything else. It’s like trying to imagine a long-haired person you just met with short hair: You can’t do it. Although I have inhabited both worlds for quite some time now, I’m becoming increasingly aware of my need to choose one. I want to live somewhere. I don’t want to just float from one destination to the next because it’s too easy to run away from things that matter. Living somewhere means knowing people and involving yourself in everyday life. It means having seasons, even if some of them aren’t your favorite. I’m sure the snowbird lifestyle suits some, but I’m not convinced that it’s healthy or what God desires for our lives. We need more meaning than air-conditioned villas, well-groomed golf-courses and perpetual summer. Comfort is nice sometimes but it’s not a purpose to pursue. Undoubtedly my two world are intertwined and I will always go back and forth between the two. I just don’t want to use that as an excuse not to get down and dirty in the nitty gritty of one. The difficult thing is that I could see myself choosing either world. I love Robert Frost’s poem about the road less traveled. For my life, it would read “Two roads diverged in the Pacific. I chose ________. It has made all the difference in the world”. Maybe I could live in parallel universes where one Daniel lives here and another one lives there. Or I could time travel and relive one or the other. Coming to Japan, however, does make me biased. Unlike any other place, when I return to Nagano I breathe a sigh of relief because I finally feel like I’m home. America is great, but I feel like Japan needs me more. From economic stagnation to one of the highest suicide rates in the world, I have opportunities for influence here that I don’t have elsewhere. For now I feel like that is a gift I am meant to use. 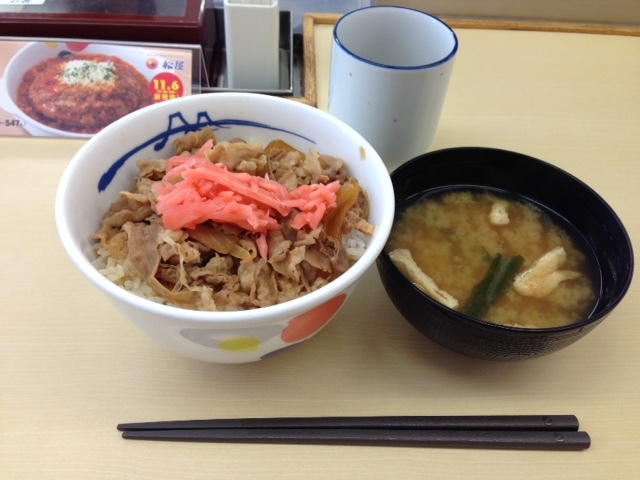 Japan also has this meal for 290 yen ($2.50). Who says Japan has to be expensive?